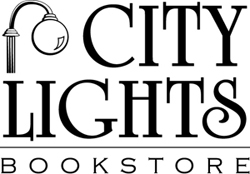 City Lights Bookstore will host four poets on Saturday, April 13th at 3 p.m. to celebrate National Poetry Month. Dee Stribling writes poetry and prose primarily around rural landscape and culture. She is the current Poet Laureate of Hillsborough, N.C. Dee will be reading from her chapbooks, Just Down the Road and Appalachian Picture Book. Kim Blum-Hyclak makes her home and her garden in Lancaster, SC, but her roots remain in Ohio. She writes an eclectic mix of poetry and prose, with grace and beauty being the common thread. Kim will be reading from her poetry book, In the Garden of Life and Death ~ A Mother and Daughter Walk. Sue Dunlap lives in Walland, TN, in the foothills of the Southern Appalachians. She writes poetry and prose, mainly about the culture of her people. Sue will be reading from two collections of poetry: The Story Tender and Knead. Laurie Wilcox-Meyer was born in Louisiana and now lives in Asheville, North Carolina. While at Northwestern University and Florida State University she studied piano and music theory. She worked as a counselor, facilitating parent-child communication and co-wrote a children’s book, Who’s Ms. Sand Dollar? A Visit With the School Counselor. Her chapbook, Circling Silence, was published in January 2018 by Finishing Line Press and her full-length book of poetry, Of Wilderness and Flight, FootHills Publishing, was published in March 2018. Laurie will be reading from two collections: Of Wilderness and Flight and Circling Silence. To reserve copies of these books please call City Lights Bookstore in Sylva, NC at 828-586-9499.